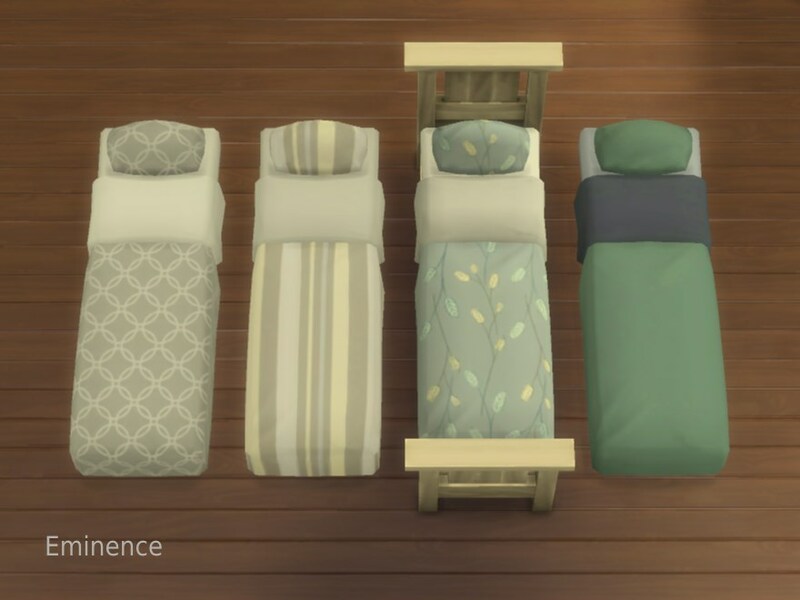 Here are some mattresses that are getting their textures from existing Maxis beds/beddings ‒ some of those are quite nice, but they’re a lot more flexible to use when they aren’t glued to one bed each. 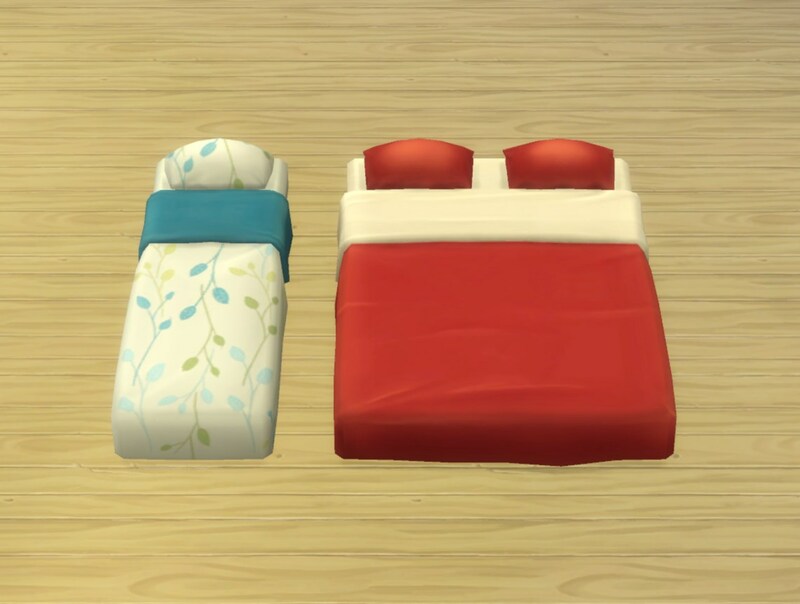 If you redownload be aware I renamed the first two to make them less cryptic. 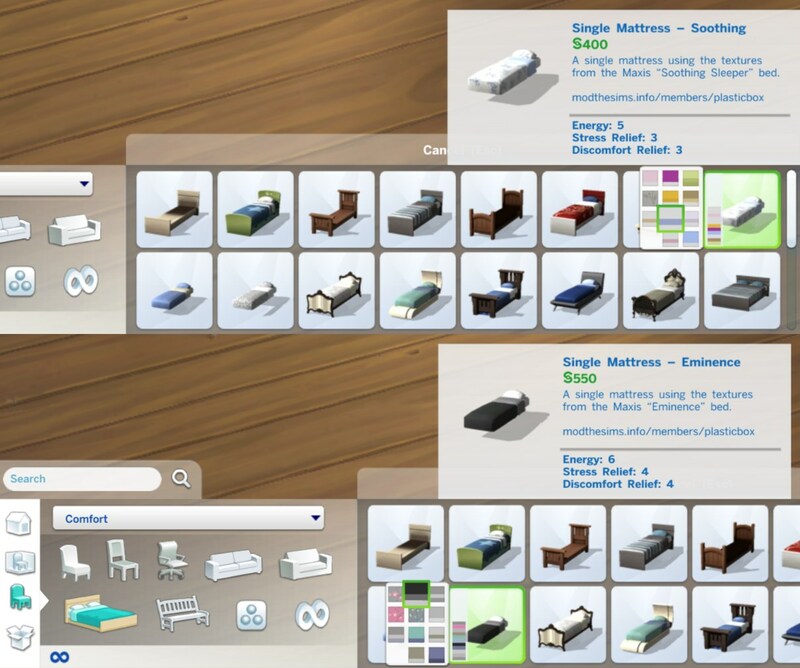 (The single beds are not all mapped the same way, hence why they need to be different objects). 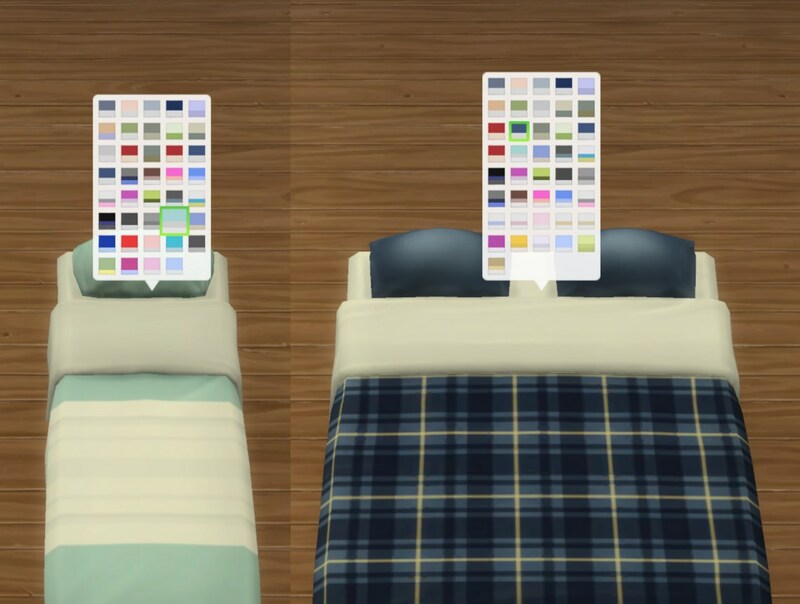 The single mattress has 39 colour variants all in all, the double one 41. 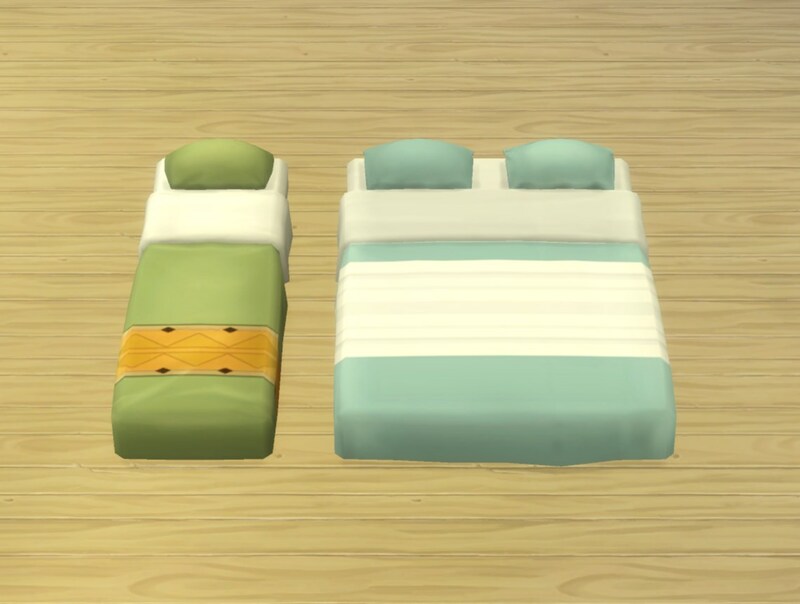 Available in Beds for 400§ / 800§, tuning is that of the Mission beds. 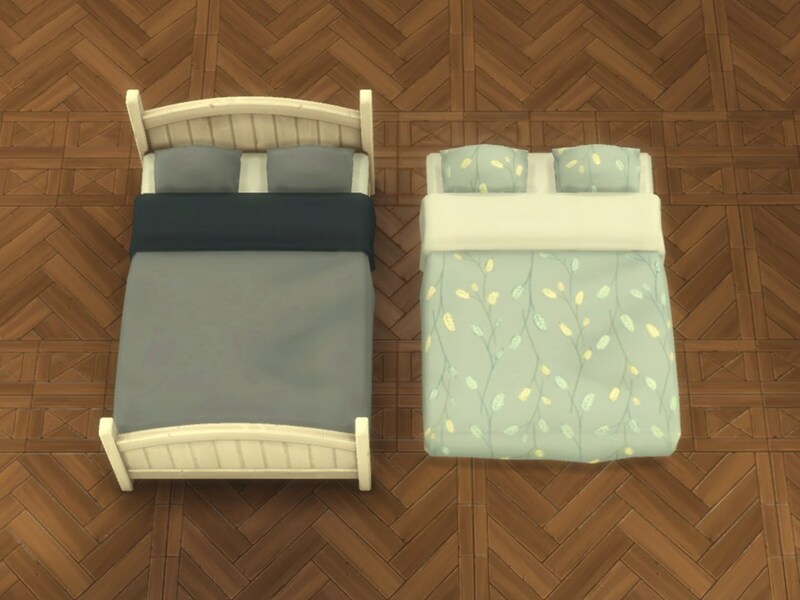 All textures are referenced as usual so there’s no pointless clutter in the packages and overrides for the original beddings (like e.g. 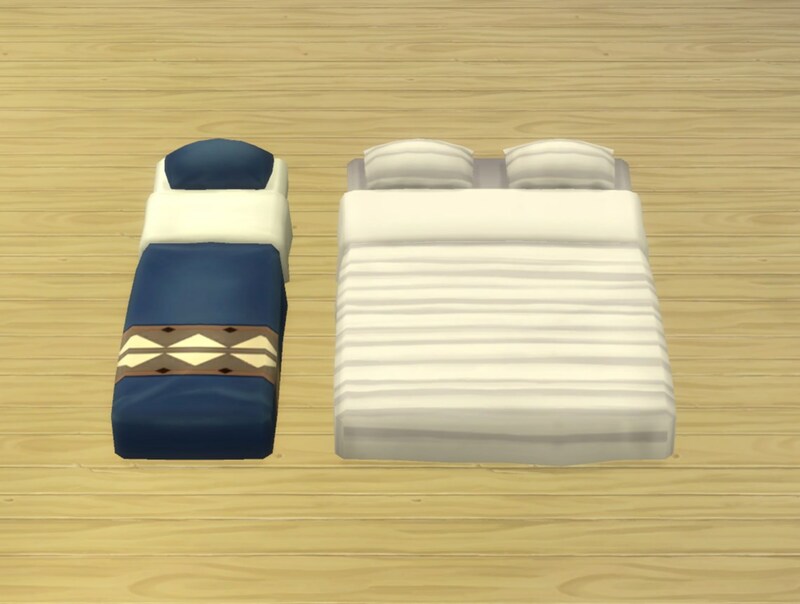 these by SaudadeSims) will also work for these mattresses. 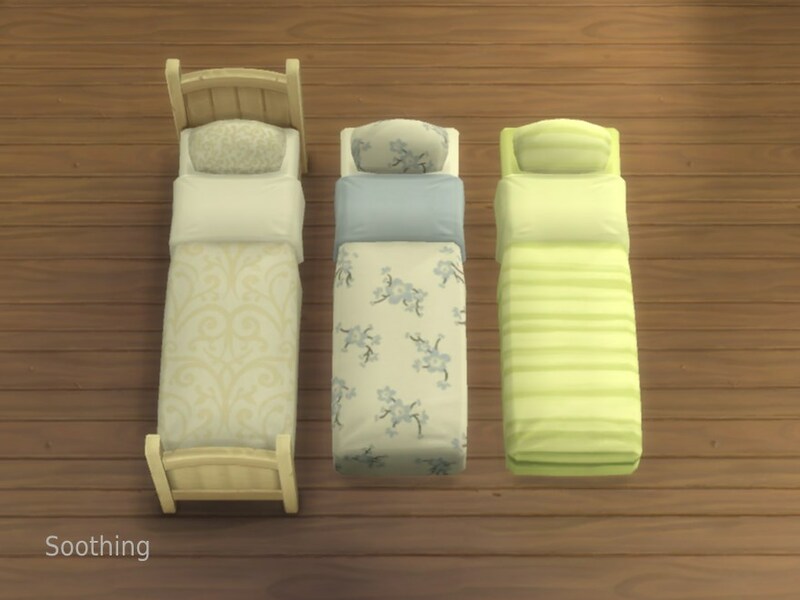 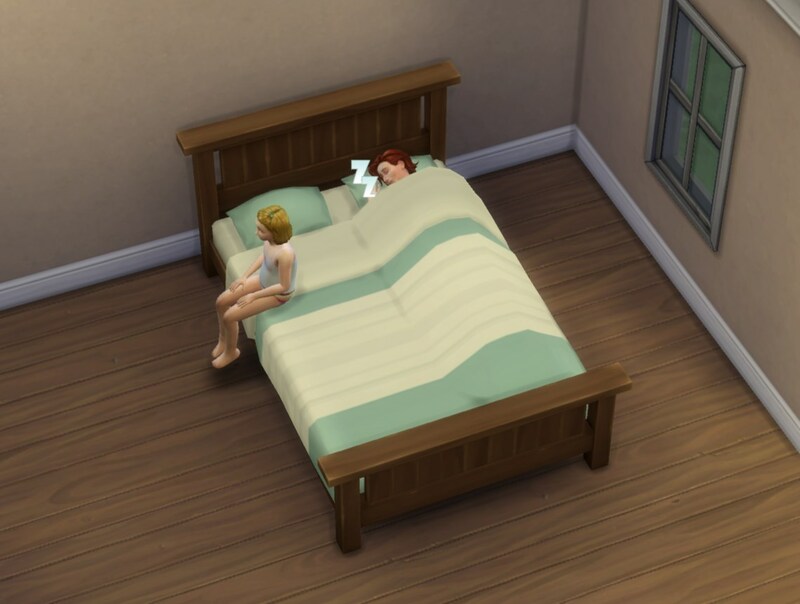 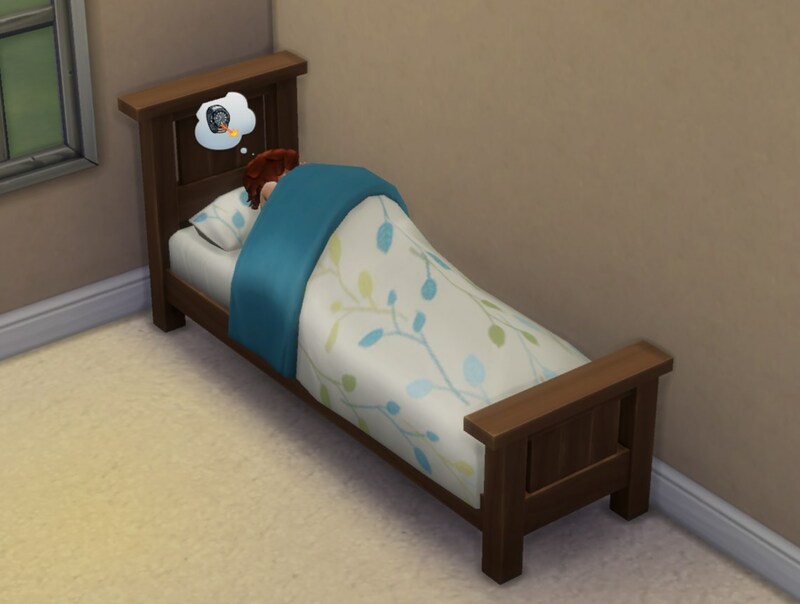 The rig/rslt is also referenced from a Maxis bed so hopefully when they introduce pet elephants that can jump on beds, these will automatically work for that as well. 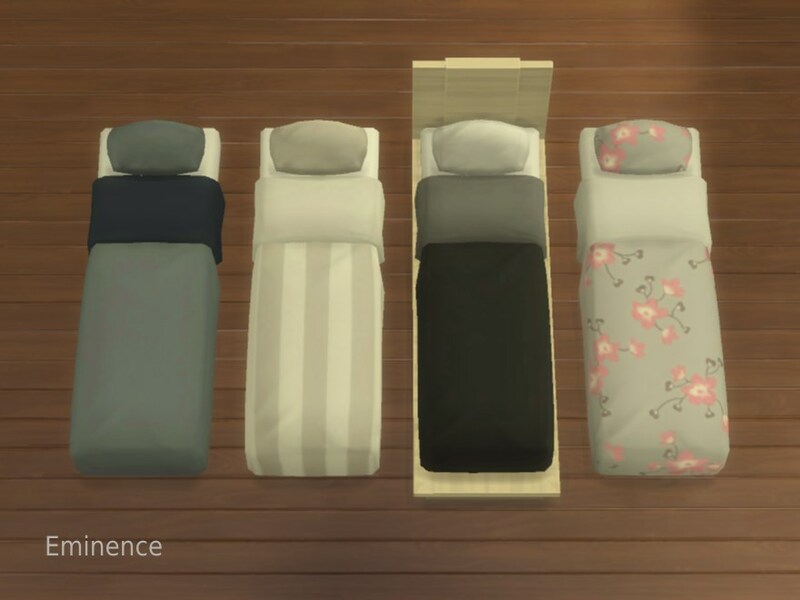 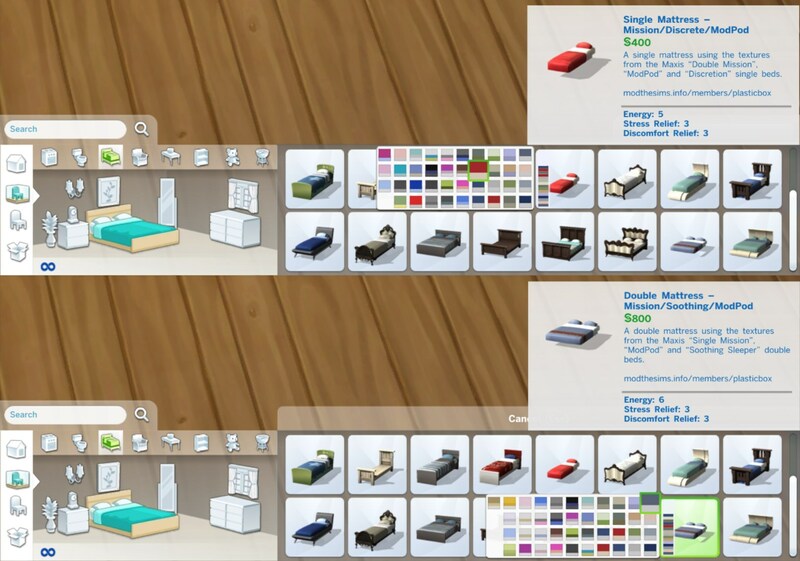 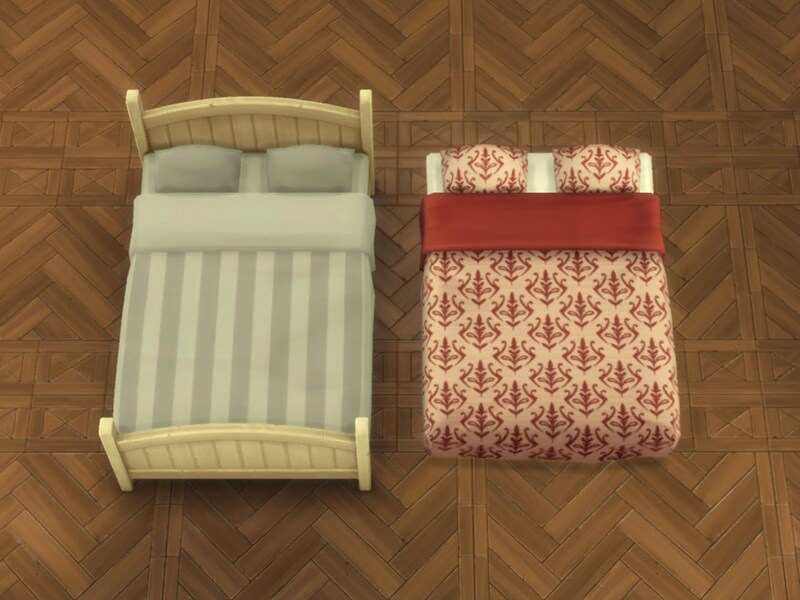 Note that the “Discretion Bedsystem” textures ‒ the last nine swatches of the single mattress ‒ will only look good on bed frames where their bottom half is tucked in, like on the original “Discretion” bed (they have a shadow painted onto the texture). 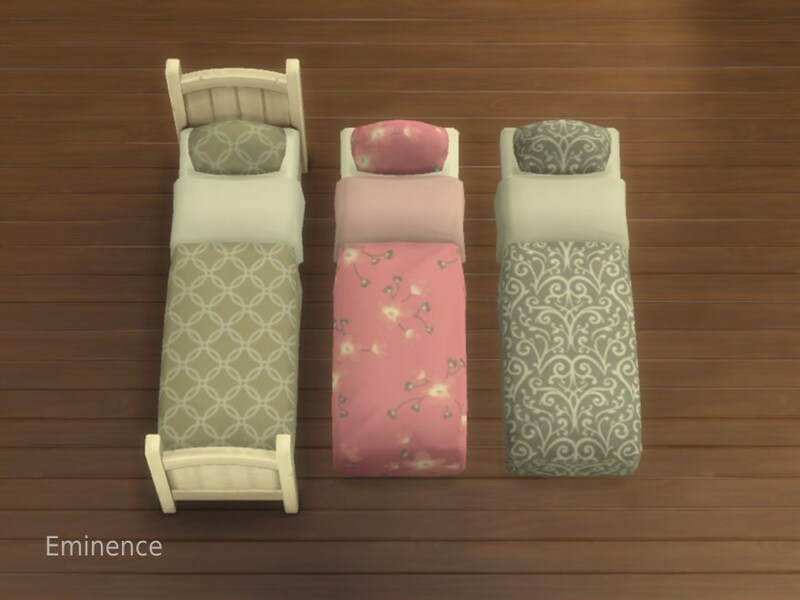 Colour variants of “Princess Cordelia's Galleon”, “Barnish”, and “Utopiate” double beds (31 all in all), tuning is that of the Discretion bed so the stats are a bit higher (and so is the price; this one costs 1.100§). 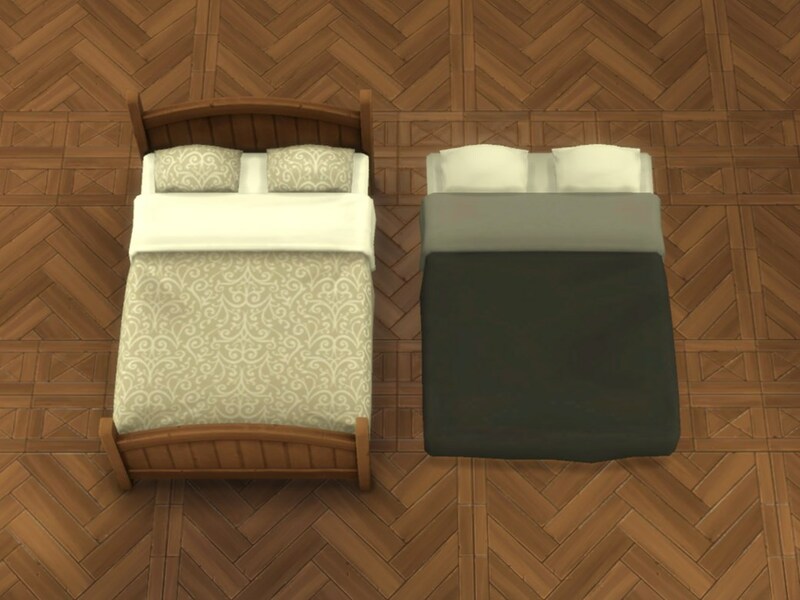 Referenced as above. 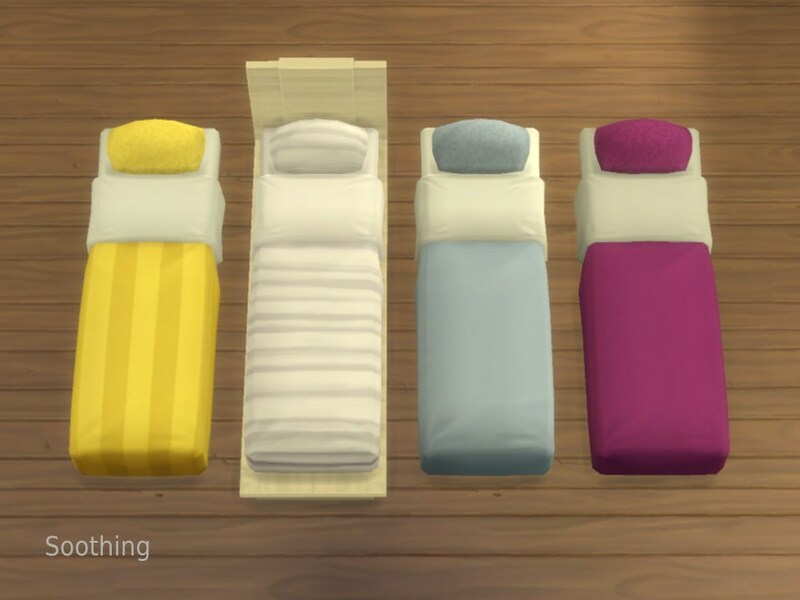 Colour variants of the “Eminence” and “Princess Cordelia's” single beds, 11/10 variants, 550§. 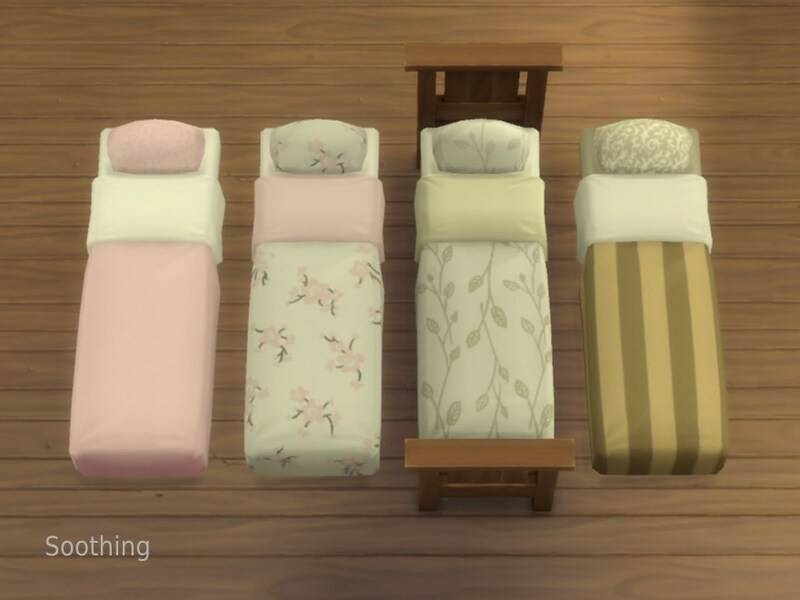 Tuning is that of the Discretion single bed. 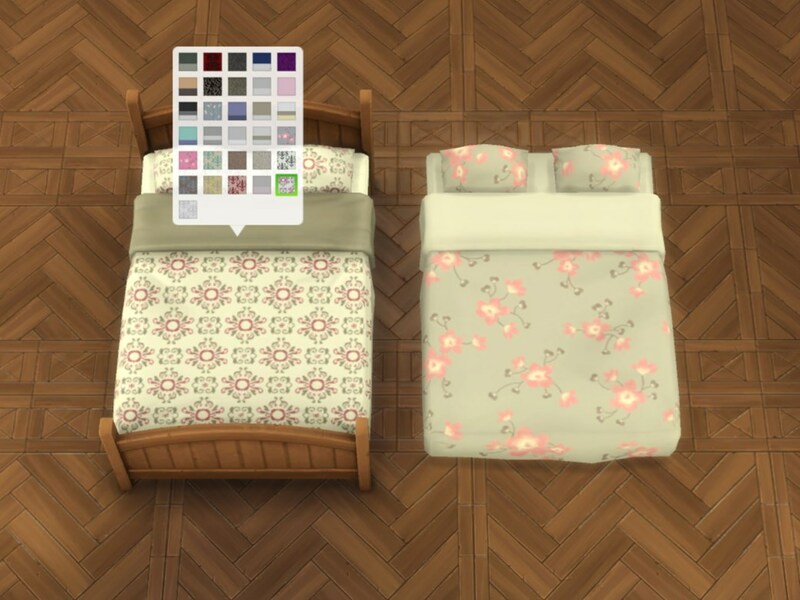 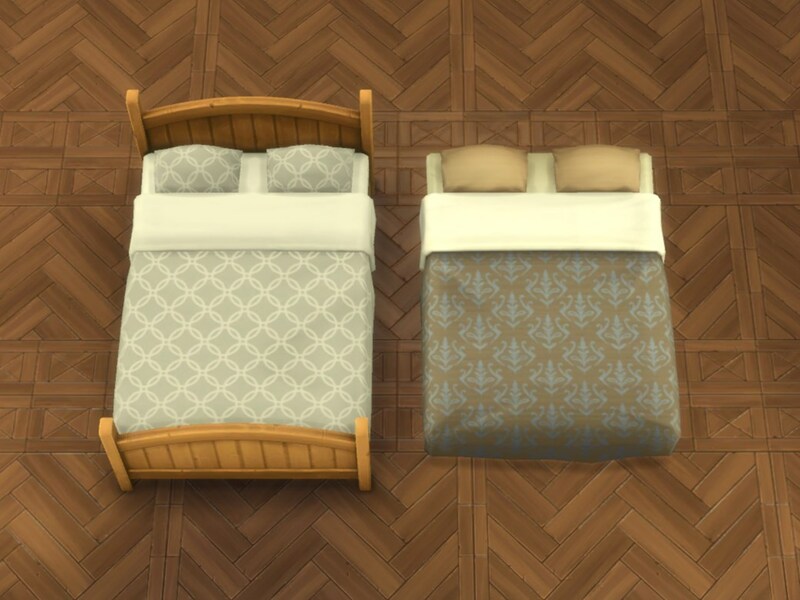 The bed frames shown on the screenshots are available here (Missionary) and here (Rustic Frame).